Enter Bobby Rainey, making his second appearance in a Bucs’ uniform. All he did against Atlanta on Sunday was rush for 163 yards and two touchdowns. He also caught a TD pass from Mike Glennon. I was lucky enough to have a good view of two of his scores. 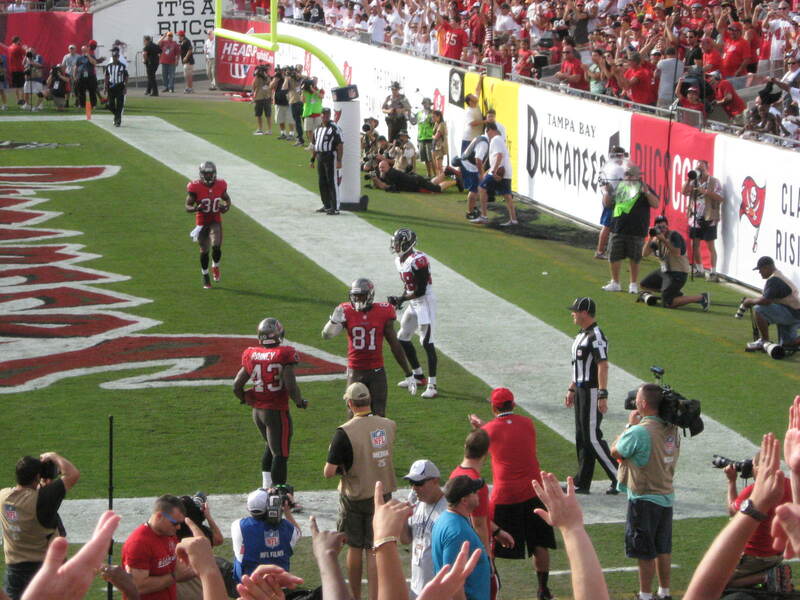 Below is a video of his short TD run, and a photo taken after his TD reception. Bucs Win!! Rub Your Eyes – It Actually Happened! !